The Walt Disney Co. and Seminole Tribe of Indians spent over $10 million to back Amendment 3. Florida voters approved Amendment 3, which takes control of gambling decisions out of the state legislature’s hands. The measure, called “Voter Control of Gambling“, won by a 71% to 28% margin (5.624 million to 2.247 million voters). Walt Disney Co. and the Seminole Tribe of Indians backed the measure with over $10 million in combined funding for the petition drive and advertisements. Amendment 3 means any new expansion of gambling (except tribal gaming) must appeared as a statewide referendum instead of a vote in the Florida legislature. The big losers in the vote were the horse tracks and dog tracks of Florida, which sought to open slots parlors and electronic roulette studios in the past few years. The Seminoles, who own 7 casinos in the state, claimed the racetracks were infringing on a long-held monopoly on gaming machines and banked games. Racetrack owners accused the Seminole Tribe and Disney Co. of not wanting competition for tourist dollars. In an era with increased lottery betting, online gambling, smartphone sports betting apps, and tribal gaming operations, racebook betting has lot popularity. Racetrack owners in other states have convinced lawmakers to authorize racetrack casinos (racinos) as a way to keep old venues open. In those states, the racetracks claim they cannot keep their doors open without slots revenues. The owners claim they are maintaining the horse training and dog training industries, while protecting jobs in those sectors. In the wake of Tuesday’s defeat, many expect some Florida racetracks to close their doors. Dog tracks will close in 2021. The passage of Amendment 13 banned dog racing in the state of Florida. Proponents of Amendment 13 claimed that dog racing is cruel, as 2 greyhounds per week die from illness or injury. Opponents of the amendment claimed greyhounds in the racing industry have a higher quality of life than average pet dogs. They also point to the average life expectancy of a greyhound (12 years) and not that two deaths per week in a population of 8,000 is to be expected. Those who backed the dog racing industry also noted that the greyhound racing industry creates 3000 jobs in Florida, so those jobs will be lost due to the measure. Despite those arguments, the measure passed by a 68% to 31% margin, which means the greyhound races will close effective 2021. The amendment’s passage was not a total loss for the owners of Florida’s 11 dog tracks. Venues will continue to be able to have simulcasts and off-track betting, while poker rooms on the site can stay open beyond 2021. In South Florida, dog tracks will be able to maintain their slot machine betting. With the victory, the Seminoles can avoid costly legal battles and lobbying efforts on countless attempts by commercial gaming venues in the state to find new sources of revenue. County-level governments had backed such measures in 8 different counties around the state, which included tracks in the Panhandle, in central Florida, and in south Florida. Disney sought to rein in gambling expansion in order to preserve the family-friendly image of Florida tourism. 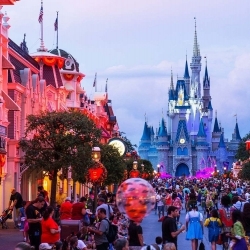 The entertainment company wants Disneyworld and Seaworld Orlando to outshine the casino gambling economy, which Disney thinks gives a state a less savory image. Amendment 3 was one of twelve seperate ballot initiatives (Amendment 8 was stricken from the ballot by the courts). The most widely debated measures were Amendment 4 (Voting Restoration) and Amendment 9 (Offshore Drilling/Vaping in the Workplace). Amendment 6 would restore voting rights to between 1 million and 1.5 million Floridians, who had them stripped away due to felony convictions. The measure passed by a 64% to 36% margin. Proponents of Amendment 6, which brings Florida in line with most other US states, said the law restores a basic right to people who have served their debt to society. Voting rights are restored if a person is paroled and any probation period has ended. Many think Amendment 6 could change future statewide votes in Florida, which is famous for the close partisan divide of its electorate. Amendment 9 bans offshore drilling off the coast of Florida. The referendum won by a 68% to 31% margin and is seen as a major setback for oil and natural gas drillers, who see Florida’s territorial waters as a vast resource. Strangely, the offshore drilling ban was paired with a vaping-in-the-workplace ban, though proponents argue that the vaping issue is about clean air in one’s personal space and the drilling issue is about clean waters off the coast of Florida.